The Mahabharata is a book of Hindu moral laws and history. 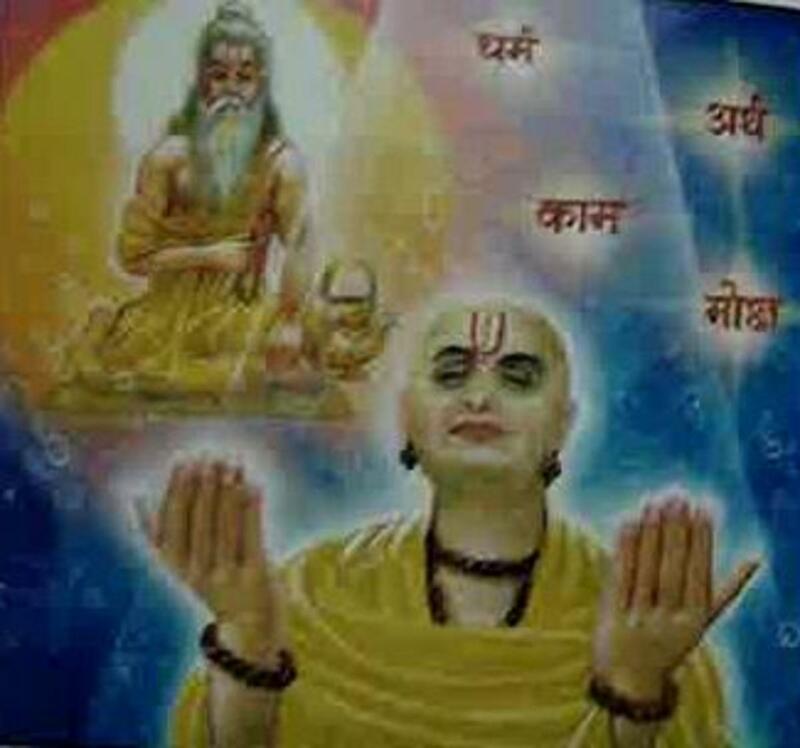 It was composed by Krishna Dwaipayan Veda Vaysa, who also edited and compiled the Vedas. 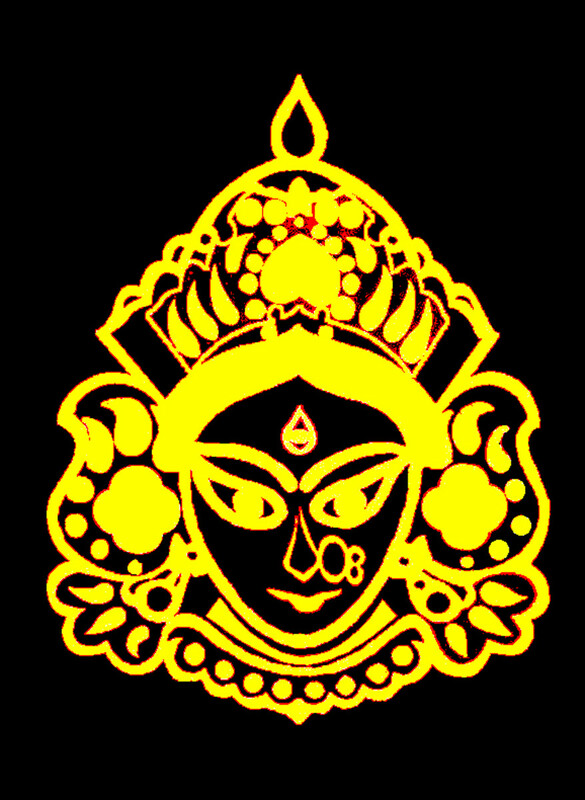 Veda Vaysa literally means editor of Vedas. 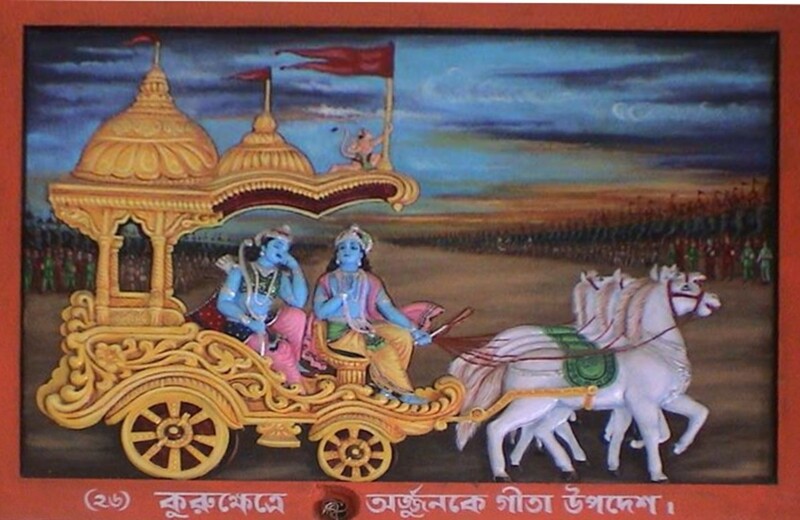 The Bhagavata Gita, one of the most sanctified Hindu Scriptures, is a chapter in the Mahabharata. 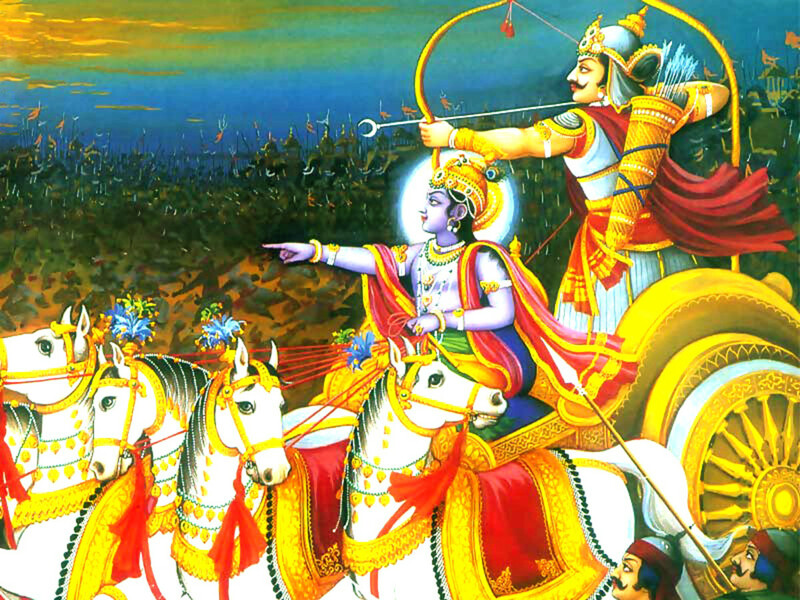 The Mahabharata is one of the oldest and longest stories in the world. There are over one hundred thousand stanzas. 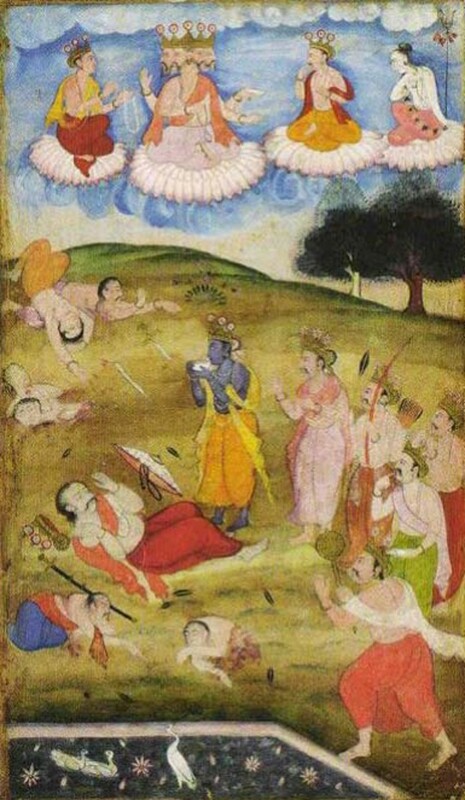 It is believed that the events in the Mahabharata occurred in c. 1300 BCE. The available version of the Mahabharata was composed in 400 CE. The Mahabharata is the story of struggle for sovereignty between cousins, where gods, demi-gods and human take different sides. The Mahabharata has been retold and rewritten multiple times. It has inspired every generation of artists. Though the storyline and the characters are same, the Mahabharata has different versions in textual treatment, audio-visual format or metaphoric representations. Peter Brook’s The Mahabharata is an enactment of the entire epic saga with an international cast and crew. It has been performed in French and English versions in the US, Europe, and Asia. Peter Brook and screen writer Jean-Claude Carriere created three separate plays, nine-hours in total (1985), a three-hour TV version and a DVD release, at just over five hours. The DVD released in 1989 by British Film Institute is a film adapted from a stage production by Peter Brook and Jean-Claude Carriere, and the screenwriters include Brook, Carriere and Marie-Helene Estienne. 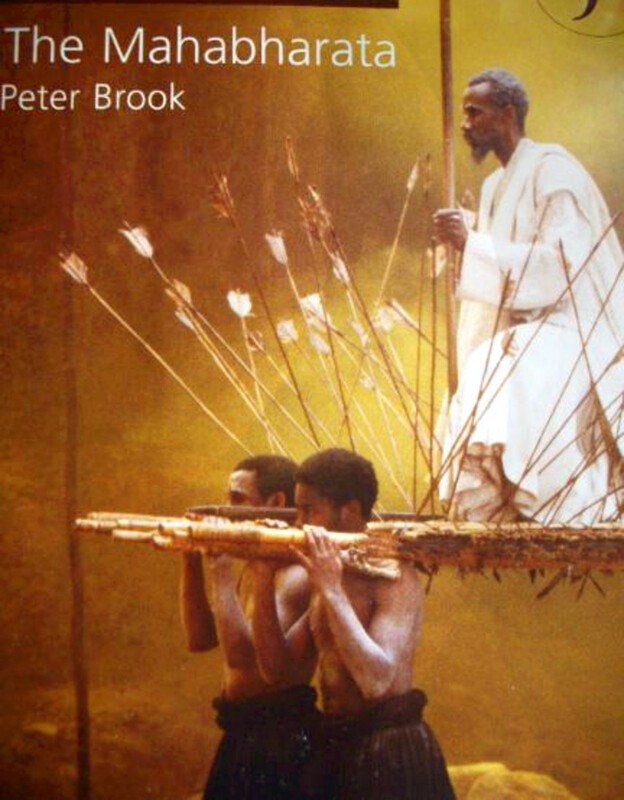 Peter Brook’s The Mahabharata (1989) has three parts: The Game of Dice, Exile in the Forest, and The War. It is not exactly a film, but a drama shot into a film. It begins with a boy walking into a sanctuary. He spots an old man who says he has composed a saga of the boy’s race. Then there comes elephant-headed Ganesha, and performs the role of a scribe. Veda Vyasa acts as a narrator and the boy accompanies him in different time and space, he is actually the audience’s wallowing mind. In the final scene, Vyasa completes his ‘poetic history of mankind,’ and says to the boy, “You are the son of Abhimanyu. Abhimanyu was the son of Arjuna, the bravest warrior of the time, and grandson of Indra, the Lord of heaven.” And Lord Ganesha hands the manuscript to the boy. The Mahabharata was filmed entirely in a studio in Paris. Background score is eastern classical and not Indian in its entirety, and costumes a kind of Indian. Very like in a play, some characters change apparels and performs another role, for instance, Ganesha takes out his elephant-face mask and smiles Krishna’s smile. 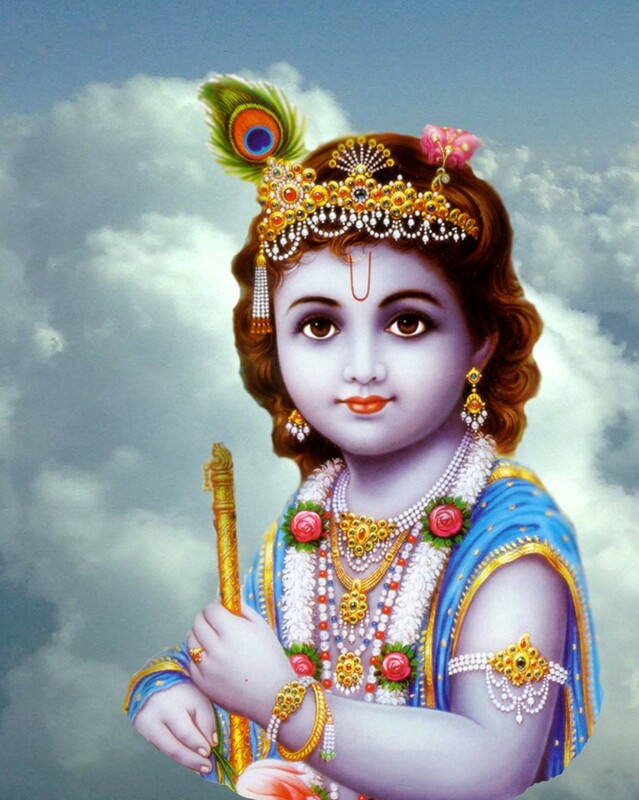 Krishna, the reincarnation of Lord Vishnu, is also the cousin of Arjuna. Undoubtedly, the most provocative point in the film is the screenplay and compelling dialogues. In this stylized production semiotics of theater are present everywhere. Sikhindin is afraid to kill Bhishma, Arjuna raises his bow, and Lord Krishna holds the arrow, slowly carries towards Bhishma and strikes him. 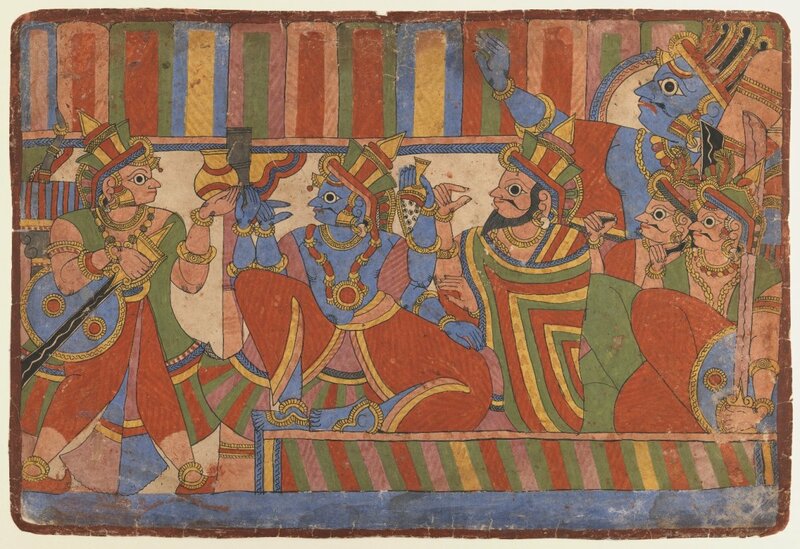 Drona, hearing his son’s death, raises a mud pot above his head, blood pours over his body, and he sits cross-legged. 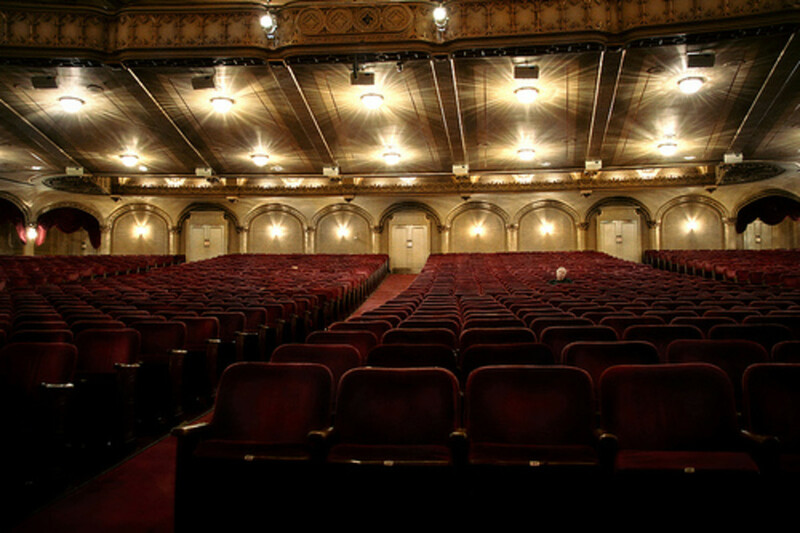 Such kind of theater grammar is maintained in many scenes, giving us the constant feeling that it is a play. Peter Brook (in full Peter Stephen Paul Brook) was born in March 21, 1925, London, England. He is the famed director of Shakespeare's. His contribution to the 20th century's avant-garde theatre is significant. Peter Brook introduced the avant-garde plays of Jean Cocteau and of Jean-Paul Sartre in England. His unconventional style and staging shocked the world when he directed Jean Genet's Le Balcon (1960) and Peter Weiss’s Marat/Sade (1964). In 1967, Brook directed the film version of Marat/Sade. 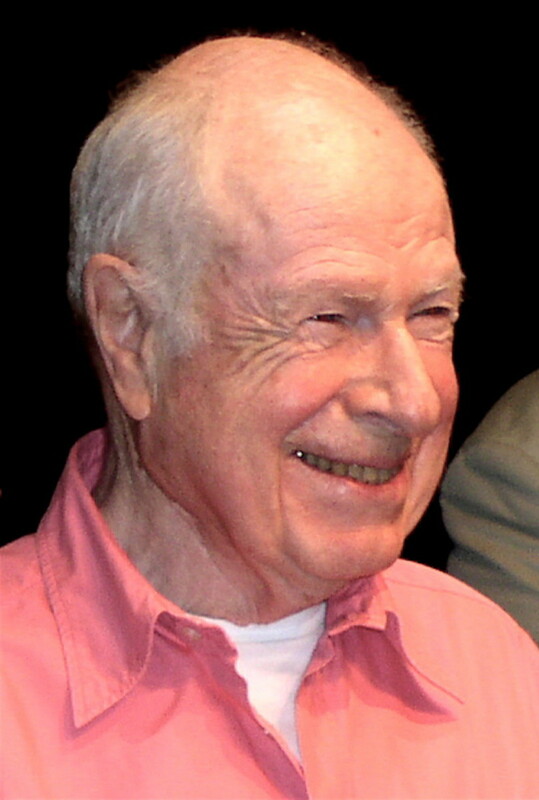 Peter Brook moved to Paris in 1970 and established the International Center of Theater Research. ‘Theater occurs whenever someone crosses neutral space and is watched by another person,’ says Peter Brook. He has also directed films and TV series. Brook’s latest work was 2002 BBC television production of Hamlet. The Mahabharata is the heart of Hindu culture, religion, myth, and legend. 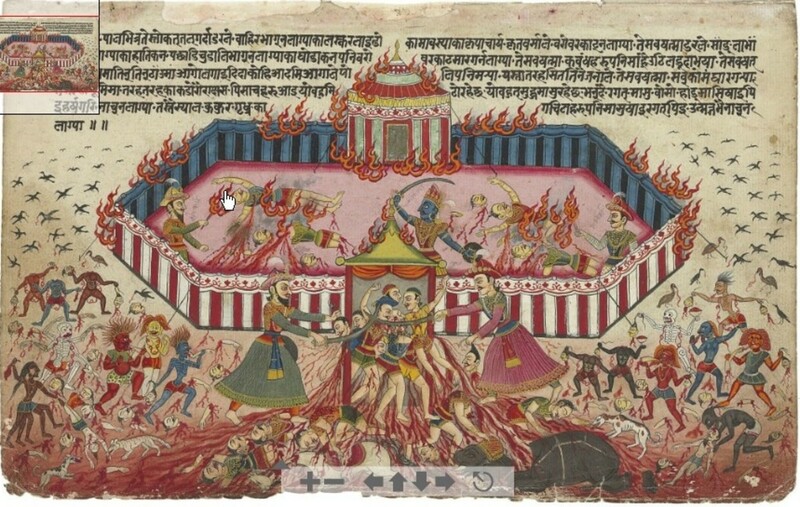 In Nepal and India – predominantly Hindu nations – the Mahabharata has been rewritten by many modern writers and filmed and performed multiple times. B. R. Chopra’s Mahabharata is a 94 part TV Series in Hindi language based on Hindu Epic Mahabharata. It was directed byRavi Chopra and aired first time on Dor Darshan from 1988 to 1990. The weekly episode ran 45 minutes. B. R. Chopra’s Mahabharata was also showcased in the United Kingdom by the BBC and in Nepal by Nepal Television. It has been dubbed in many languages. So very interesting Vinaya and thank you so much for sharing. The Mahabharata is a great read. Thanks for stopping by. I studied the Mahabharata in college and loved it. Great article! Many people have rewritten Mahabharata, and they have interpreted the characters in their own way. Peter Brook tried to make the characters more human than divine. I'm surprised at the dialogues in Peter Brooks' film - The Mahabharata. Have they been actually uttered by these historical figures? And if this just a ploy to make the dialogues dramatic by distorting history, then it is very sad. @Movie Master, I'm glad that you are learning about Nepal from my work. Thanks for your comment. Hi Vinaya, another interesting hub and I am gradually learning more about your culture and history of your country. Thank you and voted up, awesome and interesting. Mike, I agree most of my hubs are offbeat. But this is what I love writing. Thanks for following my hubs sincerely. What an interesting mix of Hindu history and film/cinema information. The photos you selected are beautiful. You continually chose topics that do not get much attention here in the West. @tillsontitan, I believe the Mahabharata carries ethos for the entire mankind, and not just for the Hindus. Thanks for your compliments. @always exploring, I've found a wonderful poet and friend in you. Thanks for always reading and appreciating my works. I always love to read about your culture. You make it so interesting. Loved it..Thank you..
Mahabharata is of course more than an interesting story...it is a glimpse into Hinduism, something many of us may never have been able to see or appreciate if it had not been for this hub. As always you have written it up beautifully. A line from the first video stuck in my mind, "The mind is harder to subdue than the wind"! @Phyllis Doyle, I'm glad that you found this hub interesting. Thanks for reading my works. @Radha, Krishna was my favorite character in Chopra's Mahabharata. Best part of this TV series was the casting. All the characters were very realistic. @Ruchira, I have watched many versions of Mahabharata. Peter Brook's is my favorite. Thanks for reading and commenting. Mahabharata is an epic and I was fortunate to watch it on Indian soil on the tv shows there. You have highlighted Peter Brook's work, which was new to me. Thanks! Mahabharata is quite the story. The part with the blood I closed my eyes because it was a little too much for me. The one I watched was the B.R. Chopra's version with English subtitles. I loved the Krishna in this version. He is exactly how I imagined him to be in this version. Gita has quite a few chapters in it. One of the most spiritual parts of the Mahabharata. 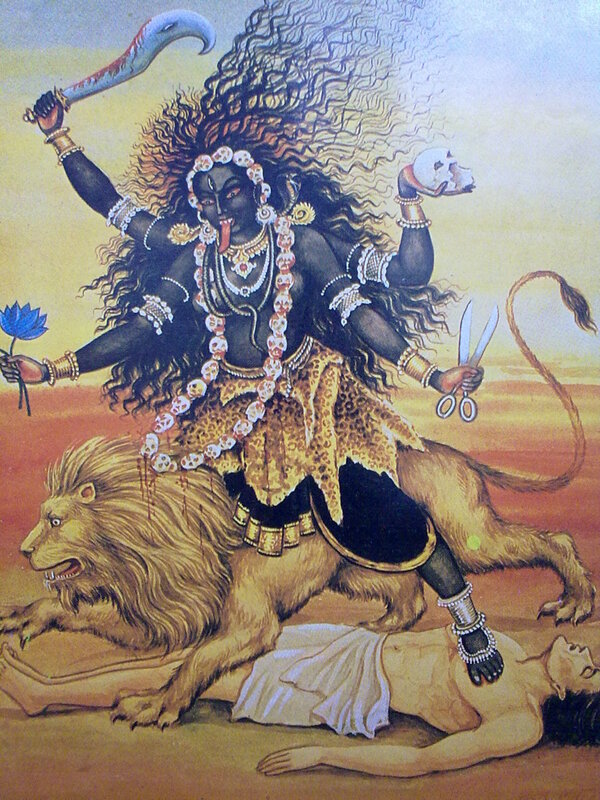 Some of the females are very compelling in this story like Draupadee and Kunti. Uttara is the wife of the Ajuna's son, very interesting story how Krishna saves her child who is her womb from the arrow of her husband's adversary. Thank you my dear friends for always reading and commenting on my hubs. I'm blessed with wonderful supporters like you. Exceptional job, as always. Thank you. Glad to read more about your culture and stories about India, Vinaya.